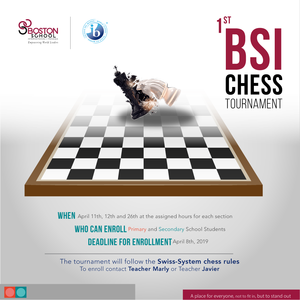 Primary and Secondary School students are invited to participate in this activity and prove their chess skills during the following weeks! 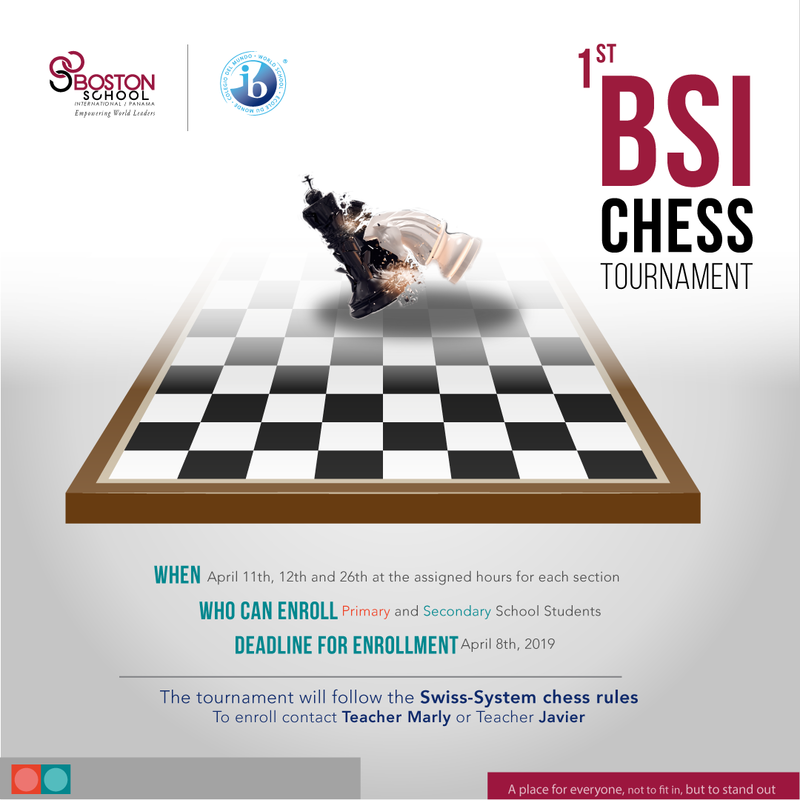 Primary and Secondary School students are invited to participate in this activity and prove their chess skills during the following weeks! The activity will take place Thursday April 11th, Friday April 12th, and Friday April 26th at our school campus. Please contact Teacher Marly or Teacher Javier to learn more about the tournament's procedures and to complete your enrollment process. The deadline for enrollment will be Monday April 8th.